It is not necessary that employed people understand the complicated and confusing financial terminology related to their salaries. While salary is a form of periodic payment from an employer to an employee, net salary, gross salary and cost to company (CTC) are various payroll jargon that must be understood clearly. Let us try to understand these payroll terms in a simpler way. Before we get to the technical aspects of the salary, let us understand the conditions under which a person is eligible for a salary from his employer. An individual who works part-time or full-time for a company or an individual under a contract of employment, whether oral or written, express or implied, is referred to as an employee. The person or the company, an individual works for is called employer and the money that he gets from the employer is known as Salary, Income or Wage. An employee’s salary may be specified in an employment contract, whether written or oral, and paid on a defined, regular period basis. On the other hand, piece wages, are paid on the basis of each job, hour or some other unit and are paid separately, rather than on a periodic basis. However, in case a person has been hired by an organization on contract basis or works as a freelancer in some company, he cannot be said to earn a salary from his job. In this case, his income is classified as “income from business and profession”. What is CTC or Cost to Company? : The term should never be confused with the total in-hand annual salary of an employee. CTC or Cost to Company is a term that companies use to calculate the total cost to employ a person. It includes all the costs associated with an employment contract and comprises of all compulsory deductibles including deductions for provident fund, medical insurance etc. It should be clearly understood that while these deductibles form a part of your compensation structure, you do not get them as a part of in-hand salary. In other words, deductibles increase your CTC but do not contribute to your net salary. What is Gross Salary: This is the amount of salary accrued after adding all benefits and allowances and before making deductions for tax. What is Net Salary: Net salary is gross salary minus the deductions for tax. Or in other words, it is what is left of your salary after deductions have been made. 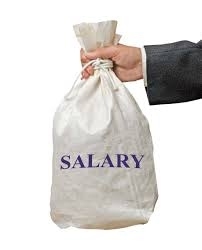 What is Take Home Salary: Also called the in-hand salary, this is usually equal to the Net Salary except for those cases where an employee has some personal deductions like loan or bond re-payments. What is Basic Salary: It forms the fixed part of an employee’s compensation structure and is the main portion of his salary. As the name suggests, this forms the very basis of a salary, based upon which, many components of a salary will be calculated. A high basis salary usually implies that the employee occupies a high grade in the organization that he is working for, be it a private or a government organization. What are Allowance: This is the amount received over and above the basis salary in the form of allowances such as Dearness Allowance (DA), House Rent Allowance (HRA), Leave Travel Assistance (LTA) , Lunch Allowance, Conveyance Allowance , Children’s Education Allowance, and City compensatory Allowance. These allowances are usually a fixed percentage of the basic salary and can be fully taxable, taxable in parts, or totally exempt from taxes. This amount is received by an individual in addition to salary to meet some service requirements. What are Perquisite: These form a part of the benefits or amenities granted by an employer to his employee. For example: Rent free unfurnished house, Rent free furnished house, Motor car facility, Reimbursement of Gas, Electricity & Water, Club facility, Domestic Servant Facility, Interest Subsidy on Loan, Reimbursement of medical bills, Reimbursement of telephone bills, Benefits derived by employee stock options, and so on. 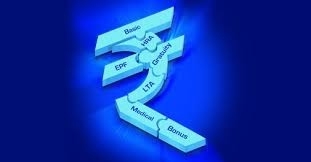 These benefits may be restricted to a limit, which is defined on the basis of employee’s rank or basic salary. It is interesting to note that perquisites cannot be taxed directly because these are non-cash components. According to the income tax laws, a certain value is assigned to each of these components so that a tax can be imposed on them. As a thumb rule, only those benefits that you use for personal purpose are considered as perquisites. What are Compulsory deductions: Deductions for Provident Fund, Income tax, Professional Tax (where applicable) can be clubbed under this category. What are Optional deductions: These include recovery for advance or loan if applicable, and voluntary contribution to Provident Fund etc. It should be noted that there are two aspects of Provident Fund Contribution. Apart from the employee’s contribution, an employer also contributes to his provident fund. This is usually 12 percent of the basic salary and is directly deposited in an employee’s Provident Fund (PF) account. This contribution is only paid out to an employee when he retires or resigns. However, the employee’s contribution to PF is deducted from his monthly salary and deposited in his PF account. This amount can also be reimbursed in cases of need. So we see that the Cost to the company is the sum of Gross salary and the Benefits that an employee receives from the employer in the form of medical insurance, provident fund, laptop and so on. However, the net salary is only calculated after deductions for taxes and recovery for loans have been made. The applicable taxes are calculated depending upon the taxation policies of the government and some policies that may differ for each organization. What is Pay Slip: This is a formal document of how much money an employee has earned and how much tax or insurance has been deducted. It comprises of a detail the gross income and all taxes and any other deductions such as retirement plan or pension contributions, insurances, garnishments, or charitable contributions taken out of the gross amount to arrive at the final net amount of the pay or the in-hand pay. What Form 16: There is a provision of Tax Deduction at Source (TDS) wherein an employer deducts taxes for all salaried employees of the organization at source. In such cases, the company must issue a Form 16 issued under section 203 of Income Tax Act (India) for Tax, which contains the details about the salary earned by that employee and how much tax is deducted. This tax is paid to government of India directly by the company and Form 16 is the proof of employee’s income and tax paid to the government. This article to explain the terminology of payroll is a part of Brio’s endeavor to create awareness and dispel ambiguity among the working professionals regarding their understanding of salary and the different components of the salary slip. Today businesses are in dilemma over the tool they should be using for their payroll. Its Online Payroll Vs Desktop payroll Vs Microsoft Excel Payroll / Spreadsheet Payroll. Traditional methods of maintaining payroll, attendance and employee information are tiring, time taking and confusing. Small and medium businesses often go for Microsoft Excel-based payroll or spreadsheet payroll, while those who are looking for more advanced solutions prefer desktop payroll software. However, both these options come with a number of limitations and may not offer you all that you are looking for. Online payroll software is the most efficient way to take care of all your payroll needs. Desktop payroll software as well as Microsoft Excel payroll needs to be installed. Unfortunately, the trouble does not end there. Both of these payroll solutions require manual upgrades and need regular maintenance. On the other hand you do not have to waste your time on installation in case of Perk Online Payroll Software. You will not have to worry about upgrading as Perk Payroll Online software doesn’t need to be upgraded manually. This efficient payroll solution does not require regular maintenance. One of the main concerns raised by every user is regarding the safety of the data. Microsoft Excel payroll has the lowest security level whereas the security level of desktop payroll software is average. Online payroll software offers high security level to make sure your valuable data is secured. In case of Perk Online Payroll Software, Brio, the payroll application vendor is responsible for data backups. This advantage is not available in the other two payroll options where the user is responsible for data backups. Online payroll software can be accessed from anywhere and at any time. In case you want to access desktop payroll software or Microsoft Excel payroll on web, you will have to take the help of a virtualized software. Perk payroll online software offers you Employee Self-Service (ESS) through which your employees may access the data whenever they want. ESS may help improve collaboration in the organization. Employee Self-service feature is restricted in Desktop based payroll. In case of Microsoft Excel payroll, this feature is not possible. Multi user feature is available in online payroll software whereas it is restricted in Microsoft Excel payroll as well as desktop payroll software. Online payroll software comes for a reasonable price. Unlike desktop payroll software where you need to pay upfront, Perk Online Payroll Software offers you the option to pay as you use. Online payroll software has an upper hand over the other two payroll options almost in every category. Unlike Microsoft Excel payroll, there is hardly any room for copy paste errors and clerical errors in case of online payroll software as well as desktop payroll software. Online payroll software is simple, easy to use, extremely efficient, and worth every penny you spend on it. It is an advance solution which overcomes all the limitations of Desktop Payroll software as well as Microsoft Excel Payroll. Can a Time and Attendance Software or Online Attendance Software help companies grow? It is a well-known fact that if employers get to focus on their core businesses, it can translate to a huge profits for their company. This is probably the reason why many companies employ effective and efficient means for time and attendance management. A mature time and attendance software or online attendance software enables efficient processing and enhanced focus on their core competencies. Payroll processing can get complex and complicated at times, especially for companies with a large employee base and many employment modes such as part-time, hourly-paid basis, contractual or temporary employment, work-from-home mode, and the regular full-time employment. In such a scenario, online attendance software can mean reduced financial and administrative costs and in turn, increased productivity. All the features of the Perk payroll for online time and attendance management can take care of all the needs of time keeping and attendance management of the diverse workforce. Companies using online time and attendance software such as Perk Payroll can easily avoid the delays and errors in consolidation of payroll data of employees working from multiple locations. With employee leaves having been integrated with their time cards, the last minute rush to compile the data needed to generate payroll can be said to be a thing of the past. So, errors in payroll can be eliminated as an added benefit of time and attendance software. With different organizations using different tools to record the attendance of their employees, capturing the attendance accurately can be a major problem for employers. Using Perk’s online attendance software can make it easy to import attendance records from the various possible options such as attendance registers, biometric or RFID time recorders and door access control or software. Perk payroll also empowers you to use any of the various alternatives of recording attendance according to the varying functions of different job roles. While it may be necessary to record the Daily Check In / Check out Timings for administration personnel, employees of the marketing department can only be marked with present or absent. The monthly attendance like number of days present, absent, holidays, and leaves of all the employees at all the geographical locations can be calculated easily using the online attendance software. Moreover, recording the early, late, short hours, and overtime of the employees becomes important for their suitable compensation, motivation, and employee self-assessment, especially at the time of performance appraisal. So it is no secret that a company can save a lot of money, time, effort, and can make the management of employee leave all the more easier, simply by switching over to an efficient and effective online time and attendance software.